Is violence an effective way of achieving systemic change in our society? This question has been one of particular interest to anyone involved in current North American politics. The discourse of far-right and even mainstream media outlets have demonized the radical left for some of its recent approaches to political protests. Take for example Donald Trump’s response to the Charlottesville protest, in which he condemned the violence of Nazis and those who protested against them in the same breath. However, there is a valuable conversation to be had about the effectiveness of violence—ranging from the destruction of property to the physical harm of individuals—as a response to hateful groups on the extreme right. This article will mostly leave out the question of morality because I believe that pacifism under a state that supports systemic violence is at least as immoral as taking up arms against it. I will instead consider whether violence is an effective means of dismantling the oppressive systems and groups in society. One positive effect of violence from the left is that it sends a message to hateful ideologies that they are unwelcome in society. This was seen on the UC Berkeley campus where student protesters prevented Milo Yiannopoulos, a British political commentator for the extreme-right, from speaking in February, and again only a month ago, led to the cancellation of a right-wing event. The cancellation of extreme-right gatherings for fear of counter-protesters has become a trend in American politics lately, which, in my opinion, is likely sending an unwelcome message to both supporters and anyone susceptible to these ideologies. In a foreword to political activist Ward Churchill’s essay, Pacifism as Pathology, Dylan Rodriguez, an author and political activist himself, pointed out that violence against “a toxic social order has life-affirming possibilities for disempowered people.” It has the power to show these people that the social order can indeed be challenged and that they have the power to do so. Consider what is being asked of the dominant class in society, when we say that we want to “change the system,” or “overthrow the social order.” It’s calling for an end to systemic oppression and inequality, which would require those powerful groups to give up their dominance over disenfranchised groups. Rodríguez has claimed the goal of these powerful groups is to preserve their own power. In the contradiction between their goal to maintain all of their power, and activists’ goal of redistributing the power in society lies the need for violence. Pacifism only represents tolerance of the current social order. There are, however, convincing arguments against the left’s tactical use of violence. First, it could cause others to associate the left with violence, resulting in a loss of support among the more mainstream, less radical public who are turned off by such behavior. Right-wing news sources love when the left acts violently, because they can use it to discredit the morals—and thus the politics—of the entire group. 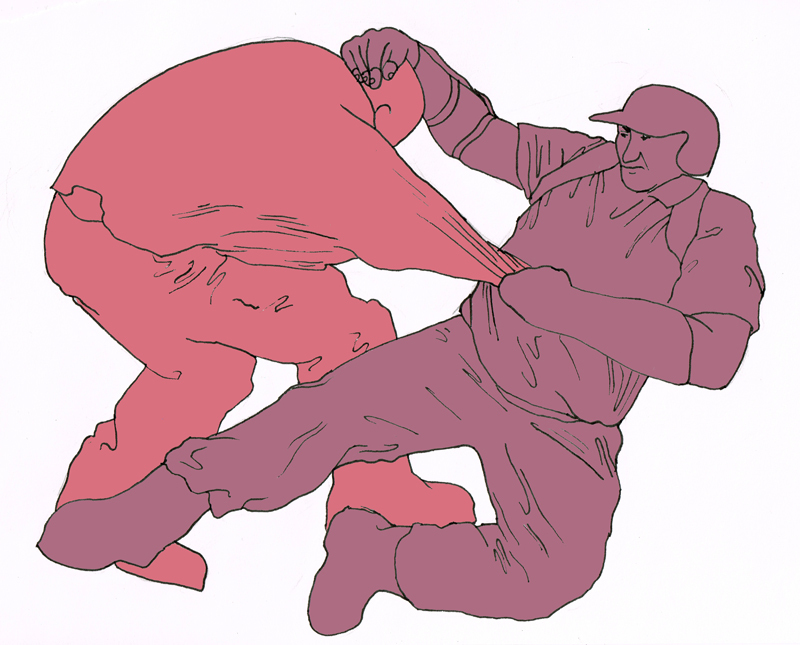 Violence is a chaotic force, and it can be difficult to control and use productively. It is my opinion that violence, when it is excessive and not properly thought out, does more harm than good. It should be reserved for times when it will positively benefit political goals—as an exclamation point to political rhetoric that won’t be heard or properly addressed through other tactics. Violence may also prove tactically effective when openly hateful groups are preaching their ideologies. In these instances, violence will positively associate the left with an ideology that will not tolerate racism. I think that if no one is listening to a particular political group, then violence can be the only way to be heard, thus it would be unwise to completely rule it out as a method. The challenge lies in using violence infrequently enough that it continues to be taken seriously, doesn’t spiral out of control and doesn’t soil the reputation of the left. For me, the question of violence is not whether we should use it or not, but rather when.